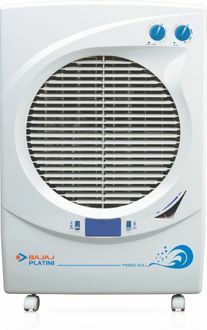 Bajaj, one of the pioneers of several electronic home appliances, is also one of the largest manufacturers of air coolers in the country. This Indian multinational company has various types of air coolers to fulfill the needs of different customers. You will find both large and small sized air coolers made by this manufacturer. 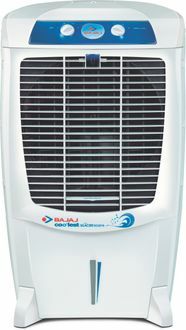 Bajaj air coolers are made with the latest technologies and are designed to look quite attractive. 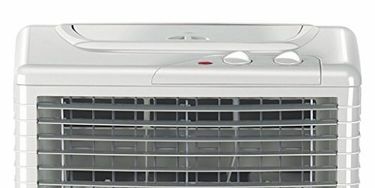 You will find several features in a Bajaj air cooler, which include water level indicator, large water tank capacity, castor wheels to help you move the unit from one location to another with ease, and Blower Technology to improve the air throw. 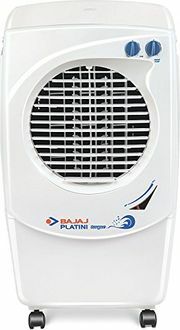 You can find the complete price list of 11 Bajaj Room Air Coolers at our website, where the prices were updated recently on 21st April 2019. Unlike popular belief, air coolers can be used both in homes and offices. 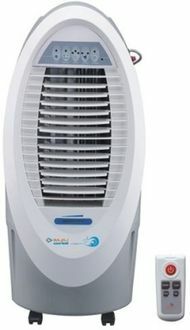 You will find several types of exceptional air coolers being used in several prominent companies. Take some time out from your busy schedule and shop online on various websites such as Croma, Tata Cliq, Flipkart, and Amazon. 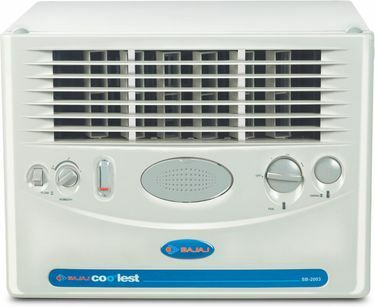 You will find an extensive array of air coolers by Bajaj on these websites. The best part about these sites is that they make it very simple for you to compare the price and features of different products and buy at the lowest price.